Many think that the word greyhound is derived from the English word “grei” that means dog and “Hundr” meaning hunter. Others believe that the ancestors of greyhounds are gazehounds, which are dogs that hunt by use of their sight rather than their smell. Although the truth behind greyhounds remain undefined, greyhounds have been regarded in high esteem for years and were initially bred to be hunting companions and racers. Today, greyhound racing in Macau is extremely popular as locals and tourists alike try to catch a glimpse of these four-legged racing animals. Greyhound racing in Macau takes place at the Canidrome along the Svenida General Castelo Branco, which remains the only greyhound racing stadium in Asia. Dog racing had been introduced to Macau in 1930 and has become a steady rival to horse races. With the construction of the Macau Canidrome or Yat Yuen on the same year, this well-loved old institution still remains popular among the locals. While the rest of Macau is built with casinos, gambling hotspots, clubs, bars and restaurants, the Canidrome still draws its own set of crowd during racing nights. Many claim that bets can total to more than MOP $150,000 at a time on any given race. Races are held during Mondays, Thursdays, Fridays and the weekends with the first race starting at 7:45 in the evening. There are 16 games every night. Admissions are MOP$ 10 for the public stands but fees can be usable for betting. Boxes at charged at MOP$ 80 from Monday to Thursday while Friday to Sunday fees including Public Holidays are at MOP$120. A minimum charge of MOP$ 30 is changed for every person. Generally, people can bet inside the Macau Canidrome but off-course betting is also possible. Betting centers are located at the ground floors of the Grand Lisboa, the Jai-Alai Place and the Kam Pek Casino. This makes gambling on greyhound racing a lot more convenient for tourists. Bars, snacks bars and restaurants are available within the Canidrome grounds while visitors wait for the next race to start. You’ll want to have something to munch on while waiting for the next leg as greyhounds are extremely fast runners. These animals can finish a lap of the Canidrome in 30 seconds, making every racing game extremely quick. The Canidrome is one of the city’s last links to its gambling past as a local law has confined the ownership of the greyhound to the Canidrome, making it impossible for anyone else to adopt the dogs. 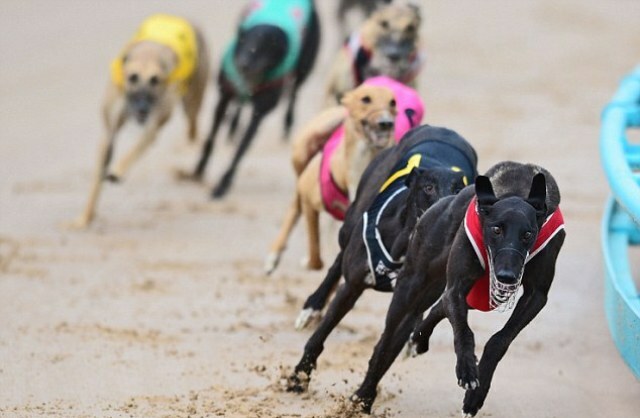 Some dogs are even too old or injured to race as the racing life of a greyhound lasts only about two to three years. Even so, the Canidrome still has a bunch of loyal supporters that hopefully will help keep the legacy of greyhound racing in Macau alive. It’s impossible to determine if your luck will turn on man-made slot machines, Baccarat tables or by racing dogs. Greyhound racing in Macau gives risk-takers a different kind of gambling experience that will surely bring loads of excitement.